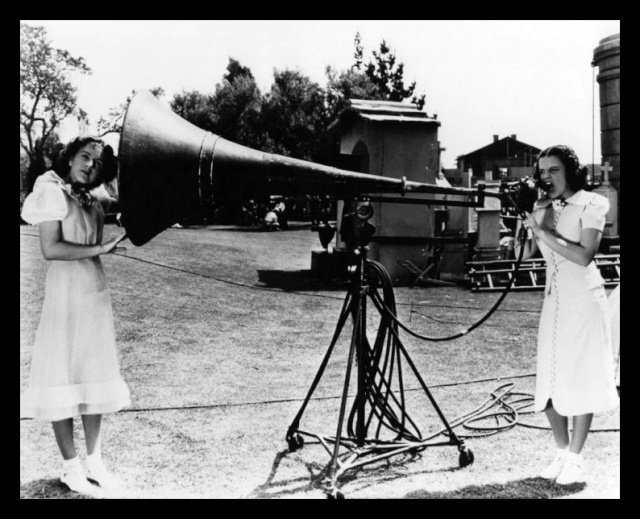 Close friends Edna (Deanna Durbin) and Judy (Judy Garland) are unhappy that Edna's grandfather and his orchestra, who play free Sunday concerts at a local park, have been fired by the Town Council because of poor attendance. The girls decide to advertise the concerts to increase the audience numbers which could influence the Council not to fire the orchestra. The following Sunday Edna and Judy are disappointed to see that there is little improvement in audience numbers, so they decide to sing which immediately attracts a large crowd. The event is such a huge success that the Council decide to keep the orchestra. 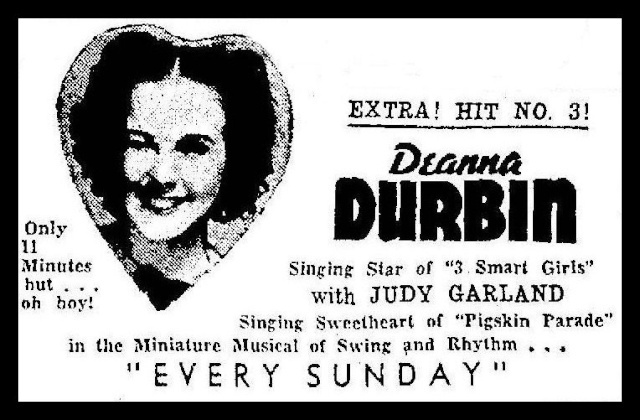 By the time EVERY SUNDAY was filmed in July 1936, Deanna Durbin had already been signed by Universal Studios on the 13th of June. But a clause in the MGM contract gave that studio the right to call on her services for up to 60 days following her termination providing she wasn't making a movie at her new studio. 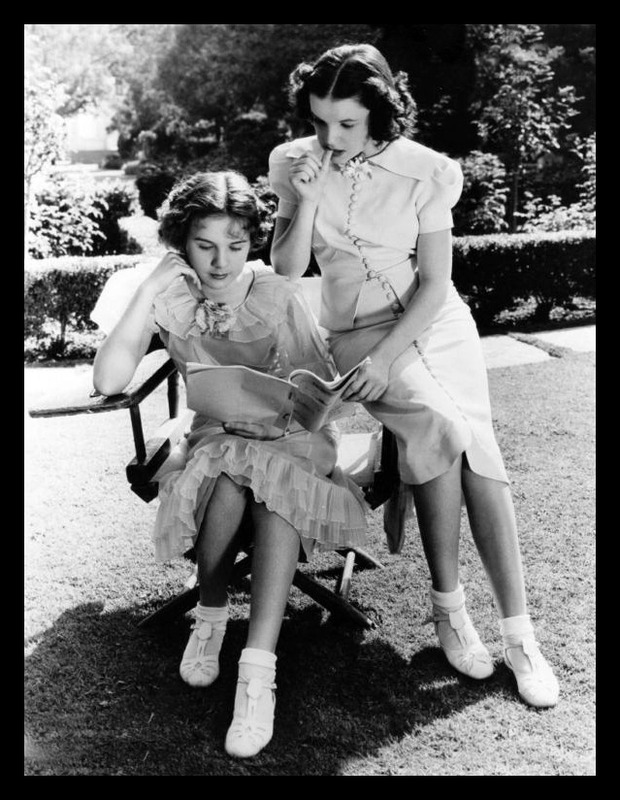 As THREE SMART GIRLS wasn't scheduled to begin production until September, Deanna found herself back at MGM performing in EVERY SUNDAY with Judy Garland. The actual singing was recorded in the studio on the 30th of June, just prior to the commencement of filming in July. The official release date of EVERY SUNDAY was 28 November, 1936. "When I was a very young age, my parents took me visiting for a month in Los Angeles. And since this brief saga deals with a moment of historic significance, I must mention that the date was July, 1936. My father's good friend there was a close acquaintance of the legendary head of Metro-Goldwyn-Mayer studios, Louis B. Mayer. Through this friend, we received a special invitation to visit MGM, the epicentre of the film industry at that time, in Culver City. We arrived early in the afternoon and were escorted to a large outdoor set in a park-like setting with many benches. In the centre was a large grandstand filled with musicians. 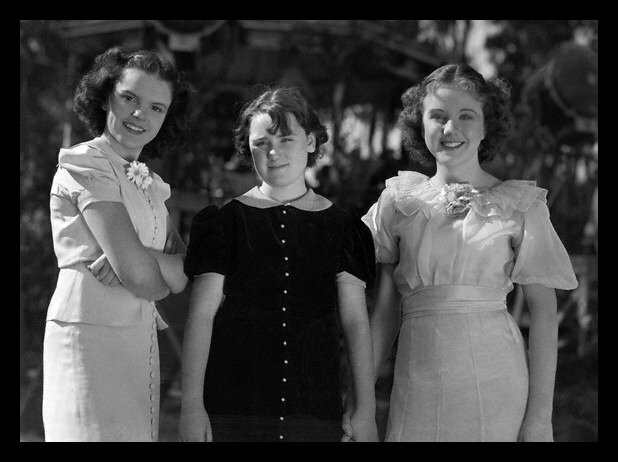 Our guide told us that a short subject was being filmed and that this would be the debut film occasion for two musically talented young girls - their names were Judy Garland and Deanna Durbin. The park was soon filled with extras, including the three of us, and shortly the two future stars came to the grandstand. There was a short period of set lighting and musicians rehearsing, and then the duet with Judy and Deanna began. Although I didn't know much about singing then, I knew right away that they were really good! Little did I know then what stars they would both become. The film short that was shot that day has been seen over and over again in highlights of Judy's career, in particular - I always look for myself and my family in the background but have never seen us. After their performance Deanna disappeared, but Judy briefly hung around and I was able to see her up close. I was awestruck. At a later date I learned that she was only two years my senior, but at the time, at the moment she smiled at me, I only knew I was participating in a legendary, magical moment." 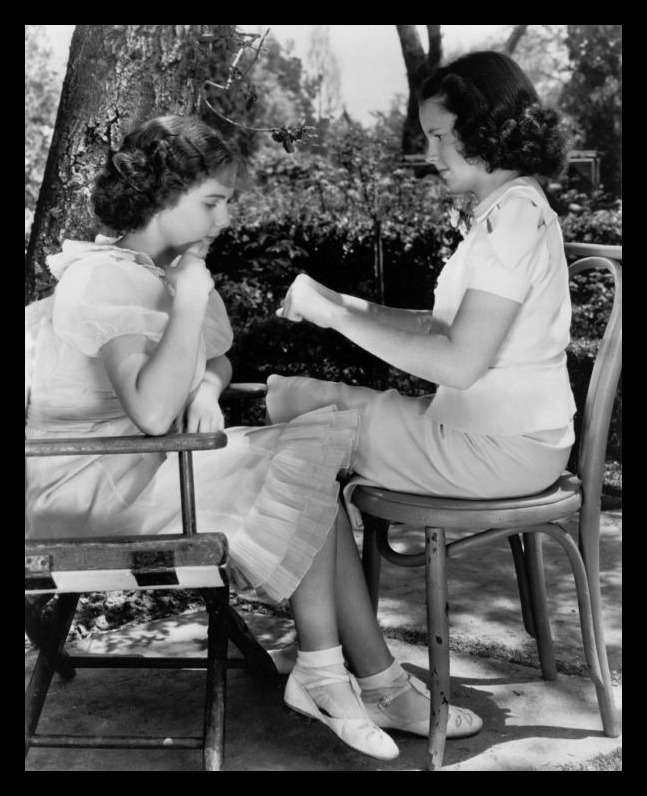 Both Deanna Durbin and Judy Garland were thrilled to hear that they would be in a short together called EVERY SUNDAY. But their enthusiasm soon cooled. They weren't happy with their clothes, their make-up, and both of them felt the story was poor. When it was finished, they were invited to see it in a projection room. Five minutes into the film, Judy leaned over and whispered, "You're awfully good, Deanna, really. But I'm terrible." Deanna looked at Judy an replied, "No, you're alright. I'm the awful one." Judy then confessed, "We might as well be honest, we're both awful!" Deanna agreed and held her cute little nose. Afterwards they both decided not to watch it again!! Both girls were trying to make light of their feelings, but they were deeply disappointed. 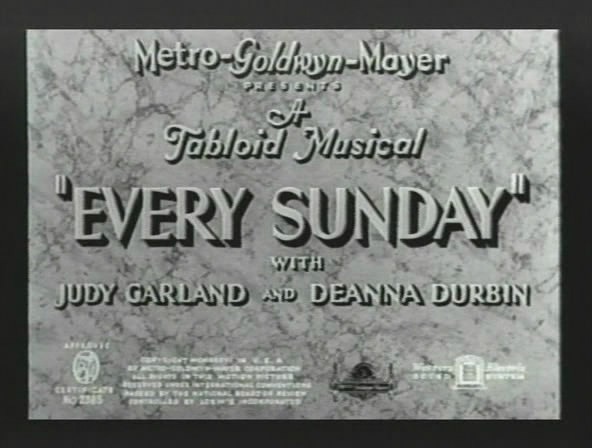 When the short was first released the billing was "EVERY SUNDAY with Judy Garland and Deanna Durbin." But after Deanna became a star, it was she who got top billing which certainly would have upset Judy! 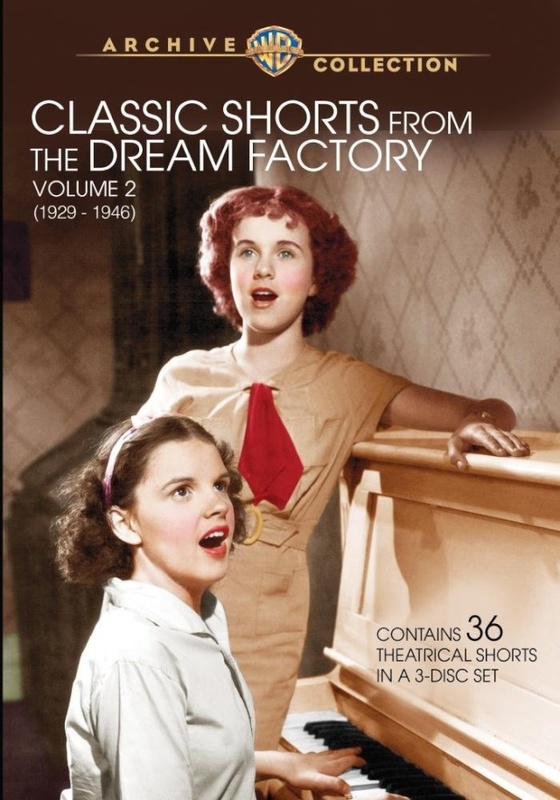 NOTE: The 1st of June, 1936 edition of the HOLLYWOOD REPORTER mentioned that Universal Studios had changed the name of Edna May Durbin to the stage name of Deanna Durbin. 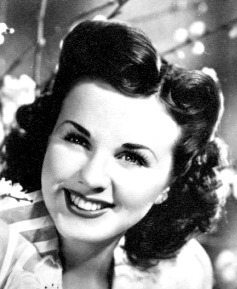 Also, on the 24th of December, 1938, James Durbin filed a court petition to have his famous daughter's name LEGALLY changed to Deanna Durbin.